My father told me about Rush Limbaugh’s reported 90 pound weight loss since March so I had to find out more about it. 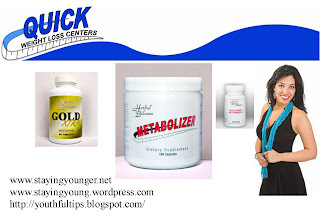 Quick Weight Loss Centers are only in south Florida but they do have a home program at the cost of $449 for a six week supply of various products to achieve your weight loss goal. Apparently this is the hot topic at the moment and has drummed up a lot of Google searches for this place. On the website, they have the program and their products you need as well as sample recipes. Rush is touting the easiness of this program but does not want to get caught up being a spokesperson. I performed various checks and what I could glean from the information, you start out on an Atkin’s type diet for two to three days and then cut your caloric intake to 1500 a day which is pretty good. He watches the meat consumption and doesn’t double his meat intake and keeps it to one serving. Alcohol is off limit even though he said he most likely could have one to glasses of wine a week but opts not to. The sample recipes look good and if you are an avid dieter like me, the plan sounds interesting but not sure it does at $449 for the six week period considering you are still buying your food from the grocery store. The testimonies are good and promising and they do sponsor contests. FYI... You can get all of the Quick Weight Loss supplements at Nashua Nutrition (www.NashuaNutrition.com) for cheaper.